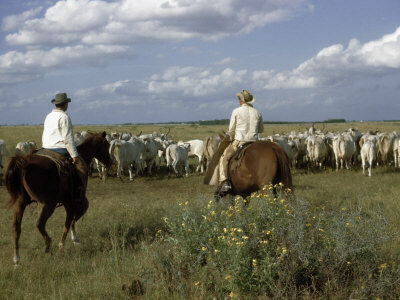 Cowboys were hired by ranchers to keep a watchful eye over the herd on the wide open range. The life style of a cowboy on the great plains was a lonely one. 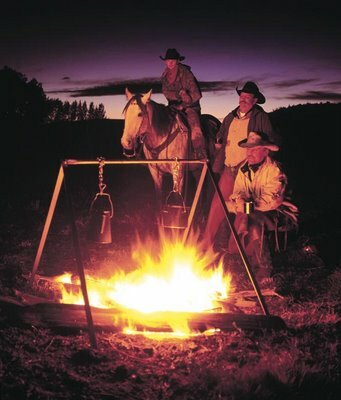 The isolation is shown through the sad lyrics in cowboy songs. 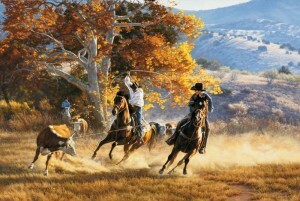 Today you can see cowboys show off their talent with bull riding, using the lasso, and roping and tying steers at rodeos. I'm only human, I'm just a man. Please help me believe in all I can be and all that I am. Show me the stairways, I have to climb. Part for my sake teach me to take one day at a time. One day at a time, Sweet Jesus. Just give me the strength to do every day what I have to do. Yesterday is gone, Sweet Jesus and tomorrow may never be mine. Lord Help me to day, show me the way one day at a time. Do you remember when you walked among men. Well, Jesus you know if you're looking below. It's worse now then than. Pushing and shoving, crowding my mind, but for my sake. Just give me the strength to do everyday what I have to do. Yesterday is gone Sweet Jesus and tomorrow may never be mine. Lord help me today, show me the way one day at a time.